Simol is the European leader manufacturer of jacks, jockey wheels and landing legs for the agricultural sector, for car trailers, building equipment and industrial vehicles. 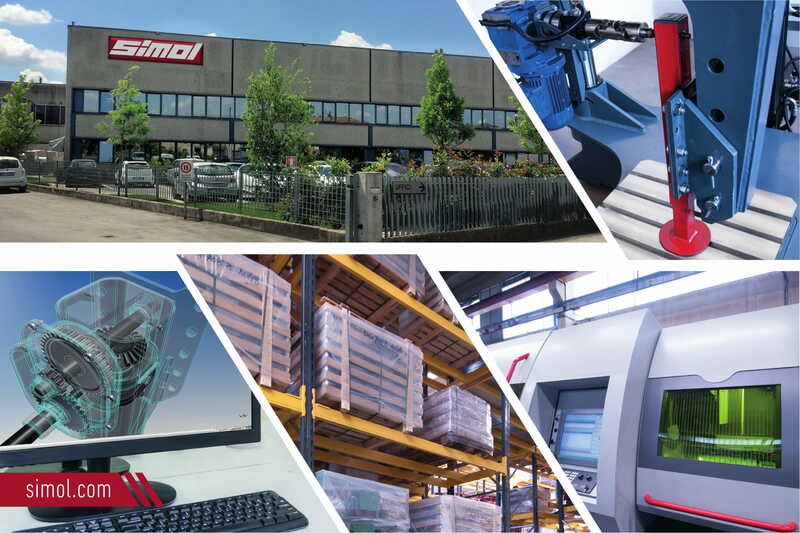 Simol offers a unique range of products in terms of high quality and variety and is able to develop on request tailored and customized products, thanks to the advanced technology of its manufacturing plants and the training of qualified operators that allow to meet the ever changing market needs. Simol products can be supplied ready for installation, with special finishing processes available on request: electrophoresis, powder coating (also in specific RAL-colour), hot and cold galvanising. Simol currently exports 90% of its production to 50 different countries and thanks to its punctual and efficient service it has been selected as a reference business partner by leading manufacturers of equipment and machinery. High quality standards, a wide and complete range of products, flexible production and renowned reliability are the principles of Simol’s commitment to guaranteeing the highest quality.